Seven 2018 Upfronts: Denton, Olivia, Doctor Blake, Commonwealth Games. Dating shows: Back with the Ex, First Wives Club. Seven has announced a slew of new reality, drama, dating shows to wrap around big sports events in 2018. 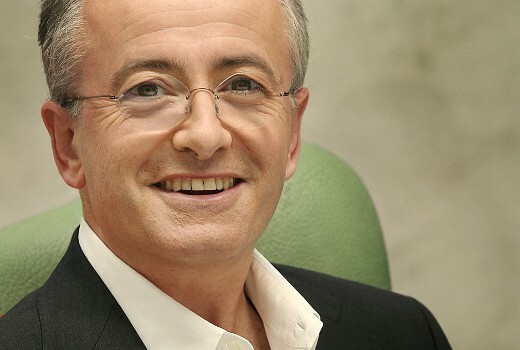 The include the TV return for Andrew Denton, who appeared at today’s event in Melbourne, in Interview. Denton explained he had missed his fireside chats and the show marked his return to the network once home to Denton. The lengthy-named Olivia Newton-John: Hopelessly Devoted to You will screen around Q2/Q3 starring Delta Goodrem, with George Xanthis, Todd Lasance and Robyn Malcolm. It will be joined later by Australian Gangster directed by Gregor Jordan (Two Hands, Ned Kelly) and produced by John Edwards. 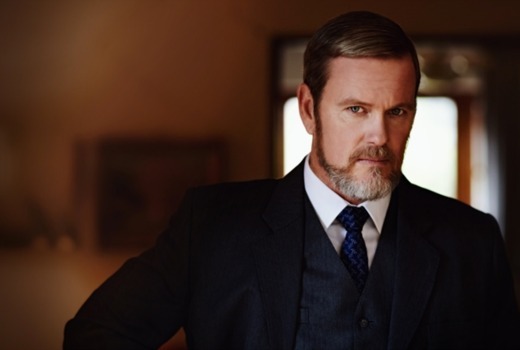 The Doctor Blake Mysteries in Q4 although Seven has not confirmed how many episodes, or whether as telemovies. 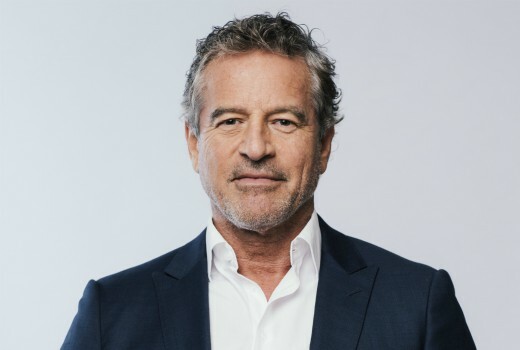 Former Apprentice boss Mark Bouris, who also appeared today, will front a new series aimed at small business, The Mentor. A one-off event to raise money for charity The Full Monty will dare celebrities to go naked for a good cause. This is based on a British version. New reality shows include The Rich House, Australian Spartan, First Wives Club, Dance Boss while Back with the Ex is a new dating series. Delta Goodrem has amassed a multitude of achievements throughout her career to date, and now she will play a role very close to her heart, as she stars as Australian icon Olivia Newton-John in OLIVIA NEWTON-JOHN: HOPELESSLY DEVOTED TO YOU – a two-part celebration which charts the Aussie sweetheart’s brilliant career and astonishing personal life Aged just 15, Olivia won a local television talent contest which propelled her to London on her first recording contract. She went on to become Australia’s most successful singer, selling an astounding 100 million albums internationally. The miniseries follows Olivia’s path to stardom from singing duets with best friend Pat Carroll, to her breakout single ‘I Honestly Love You’ reaching Number 1 in the US and international acclaim in her life-changing role of Sandy in the 1978 global smash-hit movie, Grease. Continued highs in Olivia’s music career and personal life are confronted by a sudden profusion of life challenges, with a cancer diagnosis the biggest trial of her character and determination. For more than five decades, Olivia has been “the one that we want”. This moving and uplifting tribute to her life, her loves, her family, her fight and her iconic songs, films and fashion will see Australians of all generations fall in love with Livvy all over again. OLIVIA NEWTON-JOHN: HOPELESSLY DEVOTED TO YOU is produced by FremantleMedia with the assistance of Screen Australia and Film Victoria for Channel Seven. Australia’s favourite breakfast programme Sunrise, returns in 2018 with co-hosts David Koch and Samantha Armytage, newsreader Natalie Barr, sports presenter Mark Beretta, features entertainment reporter Edwina Bartholomew and weatherman Sam Mac. Now in its 14th consecutive year of leadership, Sunrise reaches 2.3 million Australians every week. Sunday Night is Australia’s premier television news and public affairs programme. This year, Sunday Night has delivered an average combined audience of 1.32 million every week. Together with host and senior correspondent Melissa Doyle, Sunday Night’s team of reporters including Steve Pennells, Denham Hitchcock, Alex Cullen, Angela Cox and Matt Doran return to Seven in 2018. After this year celebrating its milestone 10th anniversary and decade of leadership, The Morning Show returns to Seven in 2018 with co-hosts Larry Emdur and Kylie Gillies. The Morning Show remains Australia’s number one morning programme, with an average 227,000 viewers. The Morning Show reaches an average 1.7 million Australian viewers every week. And afternoon news and entertainment program, The Daily Edition, also returns in the new year with co-hosts Sally Obermeder and Tom Williams, with a weekday average audience of 176,000 viewers nationally. The multiple award-winning investigative news series Murder Uncovered returns in 2018 for a second season. The breakthrough series was one of the biggest television premieres of the year, with 1.57 million viewers for its opening episode and an average series audience of 1.2 million. Featuring award-winning journalist Michael Usher, chilling new details will be uncovered from never-before-given interviews with eyewitnesses to the crimes, the detectives who investigated, the victims, the prime suspects, and in some cases, even the murderers – in their own words. 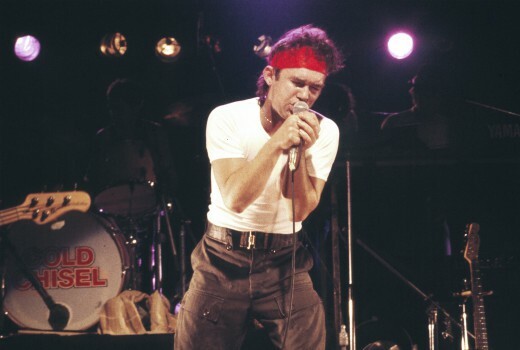 Murder Uncovered comes from the Seven News Investigates team behind the critically-acclaimed Michael Hutchence and Anita Cobby documentaries, and In Cold Blood… The Chris Lane Story. Back with The Ex Is going to be something special… I have it on good authority. I thought the Olivia biopic was originally meant for this year? Does Seven still have to wait for Delta to not be contracted to Nine? As that may mean that Seven has to wait until after The Voice to even begin promoting it let alone airing it? The Start of 2018 will see a big summer of tennis – aus open, Hopman Cup, Brisbane International. I know that Fast4 Tennis was telecasted 2016-17 On 7 (except 2015 that was on 9). The ratings for F4T was so dire. Do you think that this tennis format will return to 7 or has this event been canned? We will find out soon enough. Tennis Australia seem really keen to push the format though. Hoping they keep it to the Fast 4 exho and remove it from Hopman Cup Mixed Doubles. Ruins the best match. It’d be nice to hear if ScreenPLAY is coming back next year. Bring on Andrew Denton! Would love to watch Hopelessly Devoted To You but Delta really irks me. I agree with you on all points ! Though bio-pics often get it wrong. So is 800 words getting a new season and that will be season 4. Its very confusing and annoying when they stop half way through the year and then continue on. Was that the final ep of season 3 the other night? 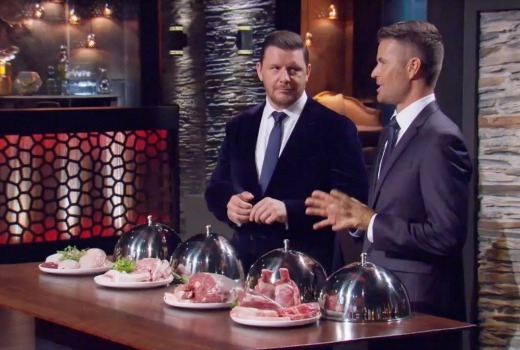 MKR need to do a masterchef and get back to focusing on the cooking. They promote the show not for great dishes but which team are the villians. Just get the good teams on. Good for Dr Blake fans that they get it on 7 but wait until all the complaints come in about the ads when its on air. They will show season 3 part 2 next year and then likely will reassess before deciding on season 4. Compared to other Aussie drama right now it rates decently and some of the cost is offset by NZ so it wouldn’t be as expensive as other shows. Kochi must be pissed off about The Mentor as his small business show has been relegated to Sunday morning for years. Yes!!! Wanted!!!! Seriously thought that had finished for good. Excited there is more. Instant hotel isn’t till next year? Why are they showing promos now then? There is a bit of a cheat going on. Instant Hotel and The Wall were amongst the titles showcased, purely because they are about to screen. But you can bet if they fail they won’t be back in 2018. Secret Daughter not mentioned. I did notice no Secret Daughter but assumed it was because season 2 hasn’t even aired yet and doesn’t even have an air date (assuming next couple of weeks). About two upcoming Seven shows. Yummy Mummies: How embrassing is it that it is a 7plus exclusive show. They must have had a two season (maybe more) contract when first commissioning the show. In my opinion, if you are a TV network who has a show who’s only way to stem the bleeding of losses is to make it a catch up exclusive, don’t bother having the show on at all in any medium. The Rich House: Seems interesting. Might rate well. At first I thought it was Seven’s ripoff of Big Brother (without the public voting) but it seems original upon a closer look. Yummy Mummies is Seven’s own original format, so they’re not obliged to anyone to renew it. They’re using a show which skews to a young female audience, as opposed to the masses, to drive traffic to their new online platform. Makes perfect sense. CBS in the US did similar launching Big Brother and The Good Wife spin-offs, as well as a Star Trek reboot, to their All Access streaming service. SBS launched The Handmaid’s Tale online before broadcast as well. Australian Gangster has got me excited. Just hope it isn’t a watered down PG drama like Wild Boys. All my favourite factual shows are back next year. The Mentor and Emergency Call will be added to the list. Agreed. I have also watched the pilot and I laughed a lot. Would watch a full series easy. I just hope if someone does commission a full series, the Superwog team retain creative rights. That means it will be at least a M rated (probably a MA rated more likely) show. Wow, a third season for Wanted? Awesome! Yeah how good is it? Thought season 2 was the last! Dance Boss is an interesting commission, but could really work. Hussey is a very good get and could be 2018s LLB. Some good, fresh titles there. Interesting to note that, much like US networks, Seven have commissioned a lot of their own in-house formats and producing themselves, which saves them money buying formats from external production companies. Dance Boss sounds like ABC (US) short lived 2008 Dance Machine. Its amazing that their longest running series include Border Security, The Force and Highway Patrol. Bor Sec debuted in 2004! Incredible. Love the sound of the new Denton series and the Front Bar is a great call for the Olympics. Matt Hussey is a big get for Seven I’ve seen him on US shows and he’s a standout. All round a better offering than last year.